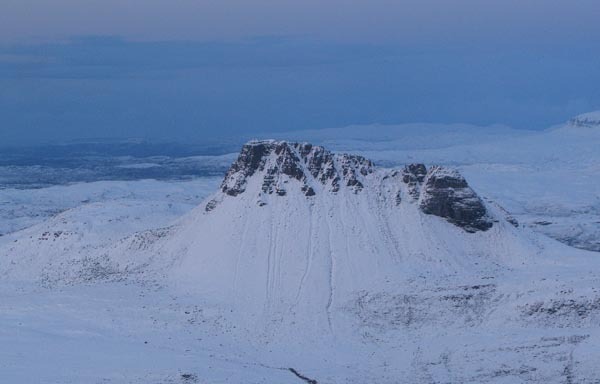 On Christmas Eve, Barry Middleton made the first winter ascent of The Ghost Road (VII,5) on the West Buttress of Stac Pollaidh. Barry initially thought he was climbing the Grade III Polly Fume, but unable to find any protection he became committed on this summer HVS and kept on going! This entry was posted in New Routes and tagged Barry Middleton, Stac Pollaidh. Bookmark the permalink.